The U.S. unemployment rate hit its lowest point in more than two years, but some economists warn that the unemployment numbers do not tell the whole story. 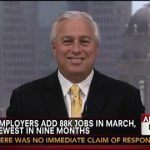 The unemployment rate for November dropped to 8.6%; however, the drop is largely attributed to over 300k people who have stopped looking for jobs this month. 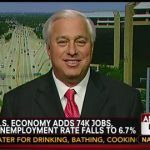 Ed Butowsky, wealth manager, financial advisor, and managing partner of Chapwood Investment Management, joins Fox News to discuss these numbers and to examine that while these unemployment numbers look good on paper, they are not as good as they seem.